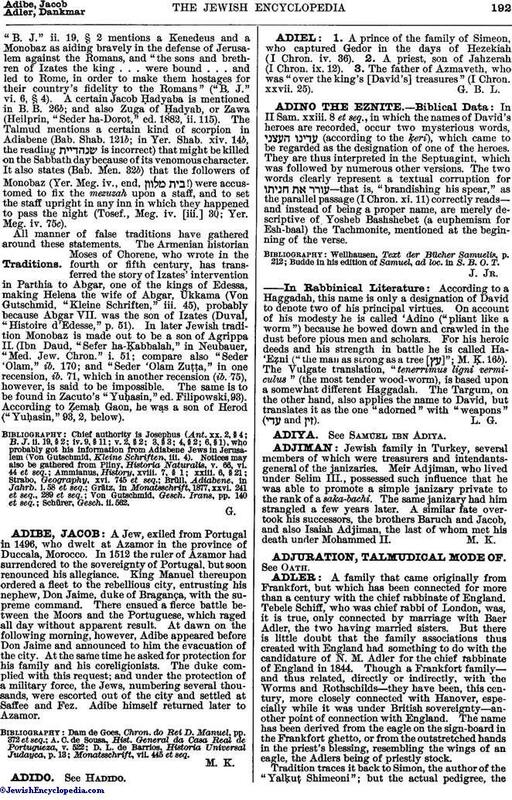 A family that came originally from Frankfort, but which has been connected for more than a century with the chief rabbinate of England. 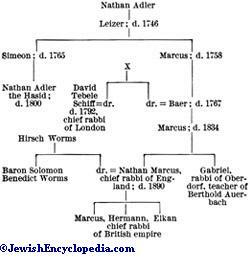 Tebele Schiff, who was chief rabbi of London, was, it is true, only connected by marriage with Baer Adler, the two having married sisters. 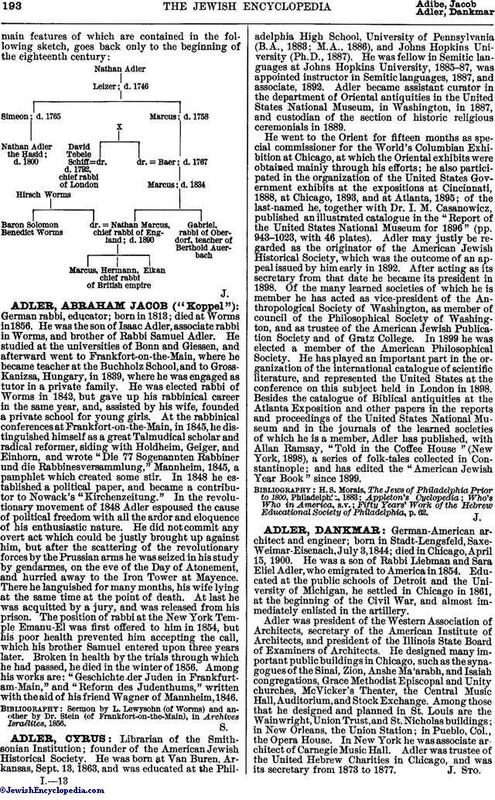 But there is little doubt that the family associations thus created with England had something to do with the candidature of N. M. Adler for the chief rabbinate of England in 1844. Though a Frankfort family—and thus related, directly or indirectly, with the Worms and Rothschilds—they have been, this century, more closely connected with Hanover, especially while it was under British sovereignty—another point of connection with England. The name has been derived from the eagle on the sign-board in the Frankfort ghetto, or from the outstretched hands in the priest's blessing, resembling the wings of an eagle, the Adlers being of priestly stock.